The Tailgate Peanut Butter Milk Stout was in such high demand and it was perhaps the most anticipated keg change of the weekend. People were continually flocking back to our stand to see if it was on yet. Unfortunately the kegs have sold out already but we're pleased to report that as a result of just how much everyone loved it we'll be getting Peanut Butter Milk Stout over from the Tailgate brewery in cans this May! Get in touch if you want to get your pre-order in - these are going to fly out as soon as the container is on dry land! Bodeans showed that beer with food takes flavours to a new level, when they turned up during the trade session with several trays of mind-bendingly good authentic BBQ food and a few bottles of their homemade BBQ sauce made using Dominion Oak Barrel Stout as an ingredient. A HUGE hit with everyone who came to our stand; the chicken, burnt ends, Texan sausages and that to-die-for-sauce were the perfect accompaniment to our beers and stouts. The folk at CBR16 were treated to a brand new product launch with Camerons Tontine Milk Stout. Chocolatey, quality, smooth, creamy, spot on - were just some of the feedback we received. Look out for the Tontine pump badge on a bar near you - we think this contemporary style stout is going places. Our Mexican Craft Beer range generated a lot of interest and certainly went down well with this crowd! Cucapa and Cinco De Mayo beers were sampled a lot throughout the weekend. The Cucapa Honey Amber Ale and Chupacabras APA worked a treat on these guys. We can't wait to do some Mexican food pairing with this range. We were extremely proud of Saugatuck Backyard IPA which scored very highly in the IPA Beer Awards, achieving an impressive 88/100. Such a hit, it was selected to be paired with food on day 2. We were so busy warding off the peanut butter milk stout requests we missed what the Backyard IPA was paired with so if you know, please tell us! 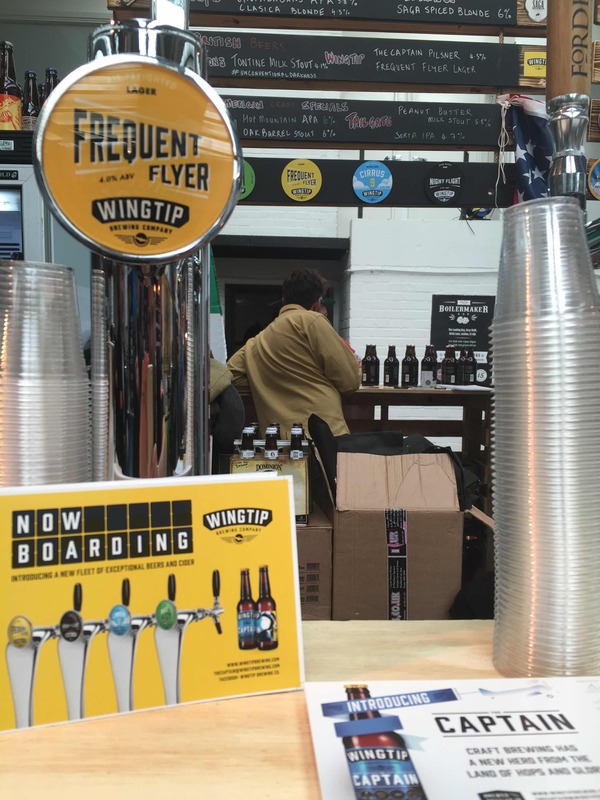 Last but not least, brand new Frequent Flyer from Wingtip was literally flying out all weekend - this new air freighted lager from Wingtip is light, flavoursome and has been released just in time for Spring. Consumers were loving it! And there's a lot more coming from Wingtip this Spring so keep your eyes peeled. What were your highlights of Craft Beer Rising this year?